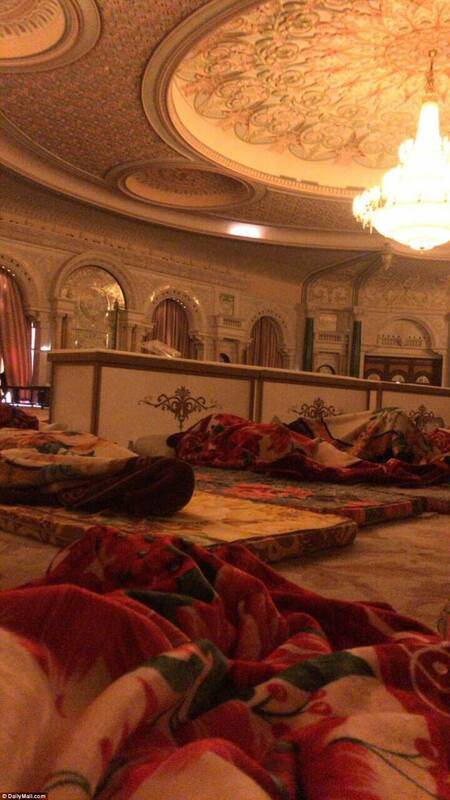 Asleep on the floor of their ‘luxury’ five star prison 11 Saudi princes, government ministers and businessmen await their fate following their arrest in the biggest anti-corruption purge of the kingdom’s modern history. 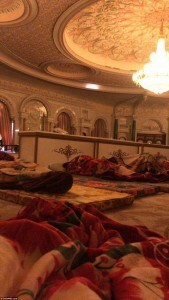 In a photo obtained exclusively by DailyMail.com the men are seen gathered together at the Ritz Carlton Hotel in Riyadh, the Saudi capital, inside one of its glittering function rooms – wrapped in blankets and sleeping on thin mattresses. In two tweets sent as he prepared to leave Japan for South Korea on a lengthy Asian tour, he said: ‘I have great confidence in King Salman and the Crown Prince of Saudi Arabia, they know exactly what they are doing…. 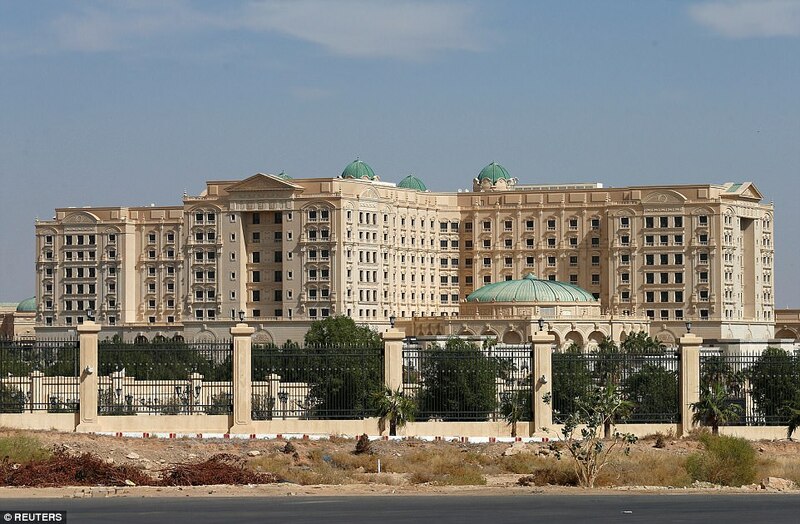 Those arrested have been locked in the five star hotel as the sweeping anti-corruption probe ordered by Saudi King Salman’s son, Prince Mohammed bin Salman, continues. 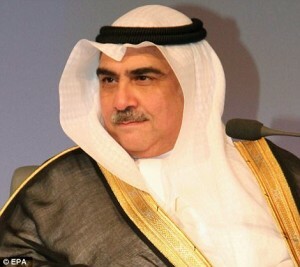 He is being held along with 10 other princes and 38 officials following an historic weekend shakeup of the Kingdom’s royal family. Ironically they are huddled on the floor of one of the grand function rooms which last month played host to the Future Investment Conference, a gathering of world business leaders which Prince Mohammed used to highlight his commitment to turning Saudi Arabia to ‘moderate Islam’ – and which some of those arrested attended. 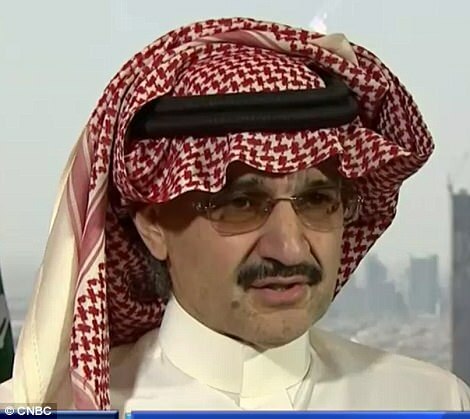 Al-Waleed used the conference to speak to CNBC about the flotation of oil giant Saudi Aramco – words which may well be his last in public life. The men were reportedly arrested in a crackdown that the attorney general described as ‘phase one’. 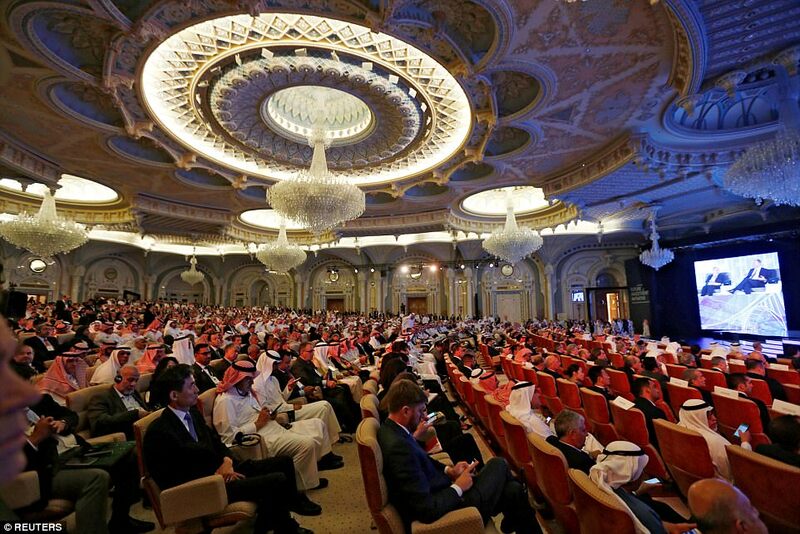 Those include going to war in Yemen, cranking up Riyadh’s confrontation with arch-foe Iran and reforming the economy to lessen its reliance on oil. 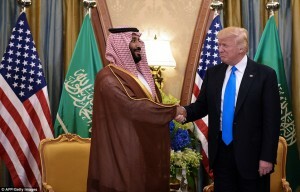 ‘The kingdom is at a crossroads: Its economy has flatlined with low oil prices; the war in Yemen is a quagmire; the blockade of Qatar is a failure; Iranian influence is rampant in Lebanon, Syria and Iraq; and the succession is a question mark,’ wrote ex-CIA official Bruce Riedel for Reuters. 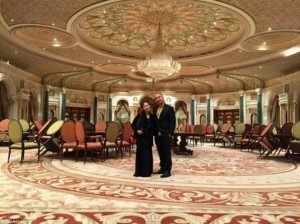 Many ordinary Saudis applauded the arrests, the latest in a string of domestic and international moves asserting the prince’s authority. ‘The buck stops at the leader’s door. He is not above the standard he is now setting for the rest of his family, and for the country,’ he wrote in the Washington Post. 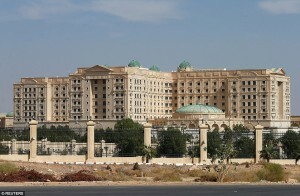 Saudi banks have begun freezing suspects’ accounts, sources told Reuters. 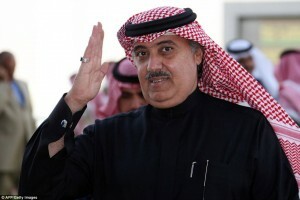 The attorney general said on Monday detainees had been questioned and ‘a great deal of evidence’ had been gathered.